The serene park and lakeside conservation area, known as Veranda Palms, is well and truly in the heart of Kissimmee and conveniently located by amenities including championship golf courses, award-winning restaurants and a 24 hour Walmart supermarket only minutes away. Based in Orlando, Florida, this gated community makes it the perfect getaway for a family holiday or romantic retreat, and has dozens of bars and restaurants on its doorstep, everything from steak houses to pizza parlours, and is easily reached off of Highway 192 at the end of Seven Dwarfs lane. 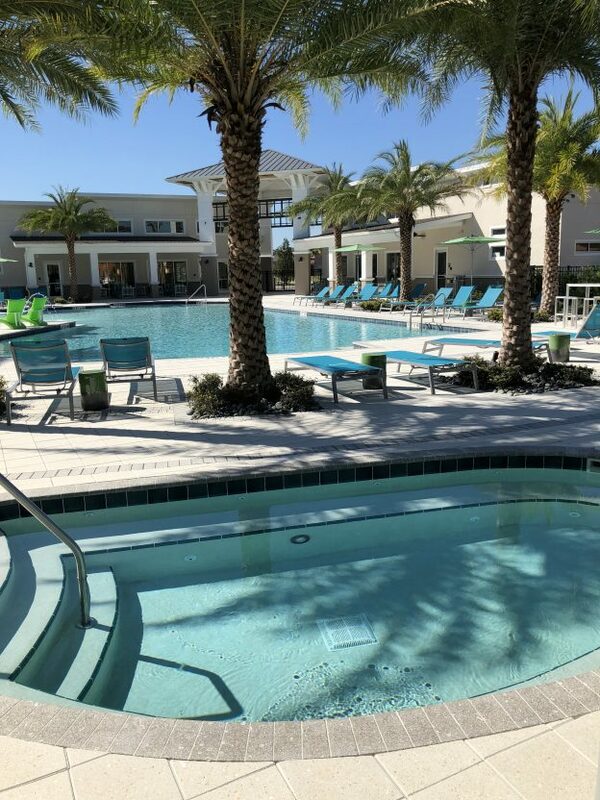 Whether you're here to relax by your own private pool or venture to the all famous Disney World, Panoramic Villas are proud to offer a generous choice of villa rentals in Veranda Palms to suit all budgets and party sizes. Looking for the perfect holiday villas to rent on Veranda Palms, Florida? Panoramic Villa Rentals offers a fabulous selection of holiday villas to rent in the ever-popular resort of Veranda Palms, Florida. Veranda Palms, near Kissimmee is a relatively new resort located just off Highway 192 at the end of Seven Dwarfs Lane. It's ideally located for all amenities and is in close proximity to dozens of bars and restaurants, from steak houses to pizza parlours, and the huge Walmart and Target superstores. You certainly won't want for anything here. Veranda Palms is also just a short stroll away from the wonderful Shingle Creek Nature Reserve, where you'll find footpaths, lakes and children's play areas. 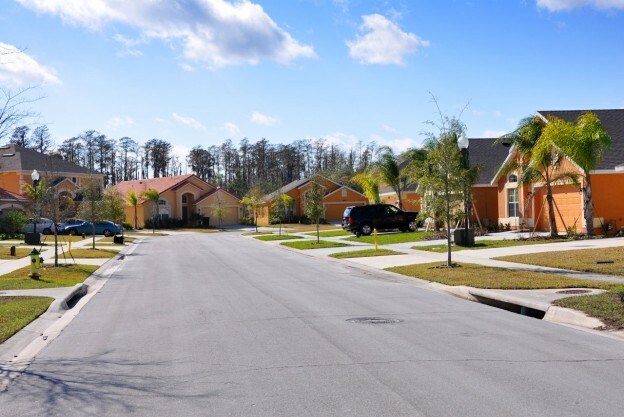 Kissimmee is also within easy commuting distance. Kissimmee is a typical laid-back Floridian town with wooden-fronted shops and tree-lined streets. Kissimmee has something for everyone whether its shopping malls, fantastic restaurants or the old town feel of America. It's also a great place for sports and outdoor activities. You can go horse riding or fishing and sailing on one of the many lakes, or if you're feeling more adventurous you can take to the waterways on one of the airboat safaris and spot the abundance of local wildlife. We have a fabulous selection of Veranda Palms Villas to rent in Veranda Palms. Each one is conveniently located and just a few minutes' walk from all the holiday facilities you'll need. All of our Veranda Palms Villas have access to a private pool where you can relax and unwind. We also have a selection of villas, townhouses and apartments to rent throughout Florida in Kissimmee, Veranda Palms, Hampton Lakes and Orlando. Superb 6 bedrom, 5.5 bathroom family villa with private heated pool, A wonderfully presented home, located just 4 miles from Disney's main attractions and walking distance to restaurants. Equipped with WiFi, air conditioning, BBQ, table tennis table and pool table. Superb 6 bedrom, 4 bathroom family villa with private pool, Very well presented home, located just 4 miles from Disney's main attractions. Highway 192 is a few minutes' walk away with bars, shops and restaurants. The ultimate New 4 bedroom villa in Veranda Palms Resort, 4 miles to Walt Disney! Set in a conservation area with beautiful lakes. This impressive villa sleeps 9, furnished with quality throughout. Features air con, pool, WiFi, games room, 2 living and dining rooms! Brand New 4 bed, 2 bath villa with pool in Veranda Palms, Florida. 4 miles from Disney World! Fantastic high quality rental located in a picturesque conservation area with lakes and woods, 16 mins drive to Walt Disney World. Sleeps 9, air con, WiFi, TV in all bedrooms. 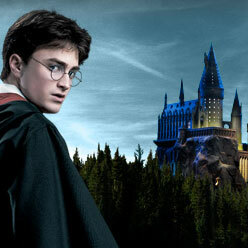 Visit Florida and enjoy a magical stay in a luxury 6 bed villa in Orlando. Beautiful located in the Veranda Palms you are a short 4 mile drive to the gates of Disney World! There are 2 living areas, games room, large pool with spa, air con, 8 TV’s, cable TV and WiFi. Large 6 bed, 5 bath villa, sleeps 12. 4 miles from Disney. Located on the stunning Veranda Palms gated community surrounded by a beautiful conservation area in Kissimmee. A fantastic villa with air con, large heated pool with Jacuzzi, WiFi, games room and 42” LCD TV! Lovely spacious 5 bed, 4 bath villa with pool in Kissimmee, 4 miles to Disney World! Set in the Veranda Palms resort overlooking a lake. South facing, sun all day - top quality furnishings, large pool, Jacuzzi, pool table, 5 HD TV’s, air con and safe. Impressive New 6 bed villa in Orlando, Kissimmee - sleeps 12. Excellent location in the stunning gated Veranda Palms development, ideally place just 4 mile/16 mins drive to Disney. Features 2 living rooms, large heated pool with spa, games room, air con, WiFi & 7 TV’s. A 5 bedroom, 4 bathroom villa situated on Veranda Palms Resort in Kissimmee. Private heated pool, games room, cable TV and internet. Only 4 miles from Walt Disney World. Fantastic 4 bedroom, 3 bathroom single storey villa on Veranda Palms Resort in Kissimmee. Brand new villa surrounded by lovely parklands, only 15 minutes' from Disney World. Shops and restaurants within walking distance. Veranda Palms is a family-friendly resort comprising of 2 storey and single level 4, 5 and 6 bed luxury villas each offering there own private pools. Take a relaxing walk along the several lovely small lakes and admire the brimming wildlife, or shoot some hoops at the basketball court which is free to use for all guests. For those who are looking to stay on top of there health whilst visiting, many nearby establishments offer the best in gym facilities to help you stay in shape, along with plenty of nice spots for cycling and jogging if you prefer. This holiday retreat is also pleased to offer a brand new clubhouse, which is free to use for all staying guests, which has a large communal pool, smaller children's pool with waterslides, and fitness suite that opened in August 2017. Once you step foot into your beautifully presented holiday villa, it will be a real task trying to prise yourself out if to indulge in other nearby activities. But once you do manage to leave your lovely villa behind, however, you will be pleasantly surprised to see that there are numerous places to discover and enjoy in the Veranda Palms vicinity. 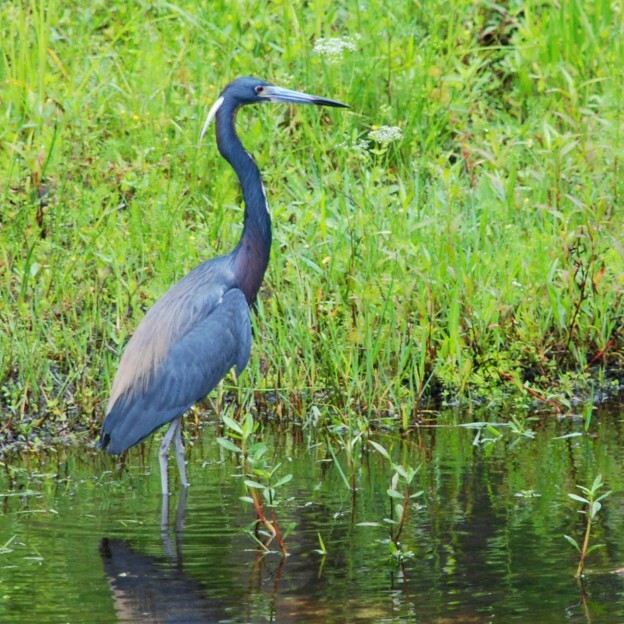 For those of you looking to enjoy the tropical landscape, the spectacular Shingle Creek Nature Reserve is just behind the resort, with the option for a spot of fishing if this is something you would enjoy. You are also in one of the greatest parts of the world for it's choice of quality golf courses, so if you're looking for a golf holiday with a difference, look no further. Walt Disney World Resort - one of the world's most famous tourist attractions and every kids dream. The well known resort boasts four theme parks, endless places to dine and shops for those seeking some retail therapy. SeaWorld Orlando - one of Florida's biggest theme and marine zoological parks, discover the marine life shows on offer, enjoy the thrill rides or explore the aquariums including personal encounters with dolphins, penguins and more. Gatorland - the 110 acre wildlife preserve and theme park is one of the most popular in Florida and is located along the South Orange Blossom Trail. Discover alligator and snake shows, splash around at the water park or visit the less dangerous animals at the petting zoo. Discovery Cove - kids will love the all-inclusive park including dolphin encounters, bird feeding and snorkelling with rays. They also offer plenty of places to eat, drink and relax in the sunshine. Old Town - Kissimmee's largest outdoor shopping centre and entertainment complex has something for everyone. Take a step back in time and enjoy the classic amusement park that features old-time rides, restaurants, bars and a unique shopping experience. Lake Tohopekaliga - seen as one of the greatest places for fisherman, this beautiful lake is filled with large bass which makes it an ideal spot for birdwatchers alike. Kissimmee Lakefront Park - enjoy a relaxing stroll through the green grasses and enjoy a picnic in the pavilions. You will also find a shaded playground for the kids and a fishing pier nearby if you want to see the locals at work. Orlando Airboat Tours - Florida is known for it's airboat rides and tours where you can glide across the waters and take in the natural surroundings. Expect to see alligators, many species of birds and beautiful flora. Main Gate Flea Market - discover what traders have to offer at the largest indoor flea market in Kissimmee with many locals selling various clothes, posters, souvenirs and other interesting goods. A great spot for browsing something a little out of the ordinary. Congo River Golf - a fun filled adventure-themed miniature golf course with waterfalls plus loads to see and do including scavenger hunting, gator feeding and arcade games. Great for a day out with the family or with a group of friends. When staying at the Veranda Palms resort, you will be spoilt for choice when it comes to choosing just one place to eat. There are tons of restaurants and diners right on your doorstep and even more to discover in nearby area. Whether you're looking for the perfect spot for a family meal or perhaps somewhere to indulge in a sweet treat, we have you covered with our list of must-visit eateries near to Veranda Palms. Medieval Times Dinner and Show - just a short walk around the corner you will find an eatery with a twist. Enjoy a "royal feast" whilst you watch sword fighting shows and knights jousting before your very eyes. Guaranteed to keep the kids entertained. Denny's American Diner - ideal lunchtimes destination if you're after some fast food in a comfortable, easy-going environment. Meals range from huge steaks to generously topped pancakes and the place is in walking distance from Veranda Palms. Applebee’s Neighbourhood Bar and Grill - a lovely spot for a well priced evening meal that provides the true American dining experience. The menu is extensive and includes everything from light bites to sizzling hot plates packed with different meats. Al Capone's Dinner and Show - perfect for those seeking some action-packed adult entertainment, enjoy singing, dancing and stand-up comedy whilst indulging in some of the best local food and drinks on offer. The Waffle House - if your craving something sugary, this is your go-to place. Choose from a menu filled with variations of waffles but also omelettes, sandwiches and cakes, a spot many locals like to visit at Breakfast. The weather in Orlando is often described in two words: hot and hotter. After all, Florida isn't called the sunshine state for nothing! 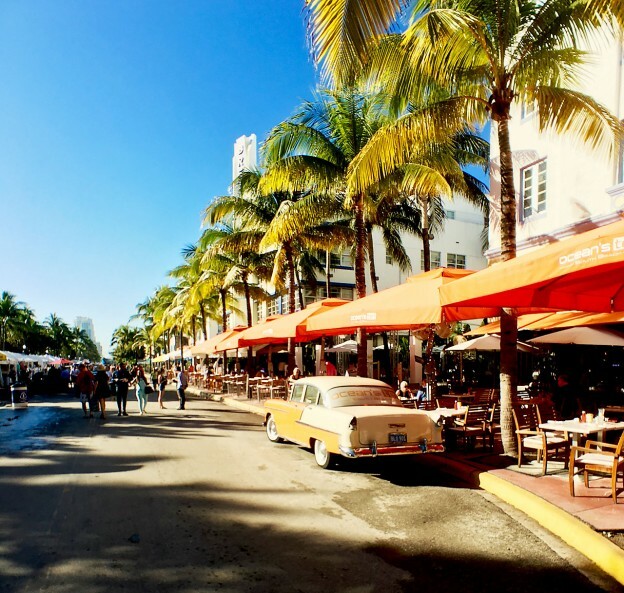 While the subtropical climate is certainly much warmer than most of the rest of America, it still has four distinct seasons including warm springs, hot summer, falls and cool winters. Veranda Palms can be easily reached via car in around 30 minutes from Orlando International Airport and around 1 hour from Sanford Airport. If you're here to visit the many theme parks on offer, the closest Disney park is located in Epcot and is only a short 15 minute drive away. The resort is sign posted so is very easy to find and just off Seven Dwarfs Lane. Much of what you will need can even be reached on foot including shopping malls, restaurants and popular local supermarkets including Walmart and Target. Please feel free to browse our villas and for any additional information or questions you may have about our holiday rentals, contact us for more information. When you’re tired of the theme parks and you fancy visiting somewhere peaceful and relaxing, then why not head to Shingle Creek Nature Reserve in Kissimmee, Florida. This beautiful conservation area houses a stunning array of wildlife spread across 456 acres. If you are staying in Kissimmee, Florida and you want something different to do then I can highly recommend a trip to Al Capone’s Dinner and Show. 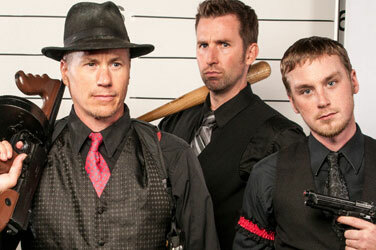 Located on Highway 192, just near to the huge Target supermarket, this show transports you to 1930s Gangland Chicago. Veranda Palms Resort in Kissimmee, Florida is the perfect base for families or friends that want to explore all that Florida has to offer. Find out more about this lovely gated community.